Living in a house with 7 girls, we always tried to make Father’s day a big deal for our dad. After all those years of settling fights over boys, clothes, and wiping away our tears (and now that he manages our entire company), we figured he needed something really good this year. And instead of rushing last minute to find a gift, Mommerce has put together this awesome gift guide for us (and you!). Now you can get your dad (or husband) something great – because let’s be honest, they probably deserve it. Growing up, clothes for Father’s day were always a staple. Our dad just never took the time to find clothes for himself, so we would take the task upon ourselves. And that way, we could spruce up his wardrobe, too. This Brooks Brothers Gingham Shirt is a non-iron (thank heavens!) sport shirt , made from Supima® cotton oxford. It’s an original Polo® button-down collar with a center back pleat and front placket. Golden Fleece® embroidery at left chest. We love the contrast color on inside collar and cuffs – and even though it’s imported, it’s machine washable. Also available in Slim fit. They have tons of different colors to choose from, but we think this blue color is perfect for summer. As the country’s oldest clothing retailer, Brooks Brothers is proud to uphold the same traditions and values for nearly two centuries. That’s why they believe their customers consider them to be far more than a store. You can learn more about the Brooks Brother?s history and heritage HERE. But, be Sure to take a look at their full Father’s Day Gift Guide! You’re gonna love what they have to offer. Another thing that was frequently given for Father’s Day was shoes. Our dad always wore them out until they were ready to fall apart, just because he didn’t have the time to shop for himself! These John Varvatos Washed Linen Boat Shoes* are perfect for casual, everyday wear. And with a brand like John Varvatos you know you’re getting a quality shoe. Launched in 2000 with a collection of tailored clothing and sportswear, the brand now represents an entire lifestyle that includes belts, bags, footwear, eyewear, limited edition watches, luxury skincare and fragrances, as well as the younger, edgier John Varvatos Star USA collection and Converse by John Varvatos. John Varvatos is a brand that occupies a unique place in the landscape of American design. It unites old world craftsmanship and refined tailoring with modern innovations in textiles and a rock ‘n’ roll sensibility. They’ve merged their signature Schooner silhouette with a classic boat shoe design for a remarkable everyday slip-on. We love the finish – with details like a laceless closure, vintage hardware as well as hand stitching on the washed linen exterior. And bonus: They have complimentary shipping & returns. * Size & Fit: This shoe runs small; Please order a half size up. You know we love food in our family, and our dad was the ULTIMATE grill master growing up (even in the dead of winter, he’d still go outside and fire up the grill for dinner!). He LOVES a good, hearty grilling recipe, and these Tessemae’s marinades, rubs, and sauces are right up his alley! Tessemae?s All Natural is the world?s fastest growing fresh condiment company. It started when the oldest of three brothers marched a Tupperware container filled with their mother?s homemade salad dressing recipe into the grand opening of a local grocery store back in 2009. Over the next 5 years, the brothers have achieved national distribution in Whole Foods Markets and Safeway grocery stores with a complete line of ?clean? salad dressings, marinades, rubs, and sauces. ($25) for the entire grill pack with guaranteed Father?s Day delivery. Our dad is always on the go, and he is always connected to his work with his phone. He is constantly plugging it in to random outlets to keep it charged – and that’s why he’s going to love this one! The Duracell Powermat Portable Charger Set is a great gift to give that special man in your life more power and protection for his iPhone 5s or 5. The Duracell Powermat wireless charging pad and PowerCase together make powering and protecting your iPhone 5s a breeze. The PowerCase?s built-in 2000 mAh battery provides up to 100% extra battery power, while shielding your iPhone from nicks and bruises. The PowerMat lets you recharge your iPhone and PowerCase wirelessly by simply placing them on the mat?no need to plug in your iPhone. And if you’re at a different location from the PowerMat, you can also recharge your iPhone and PowerCase with a micro USB cable through the USB port on the case. You can also find these at Sam’s Club! Does the man in your life loved smoked food? Because mine definitely does! This smoker is literally SMOKING and amazing! The smoker comes in 30″ (4 racks) and 40″ (6 racks). The smoker comes with Window and Stainless Steel Door ? so you can see how your smoked meats, cheeses or vegetables are coming along through the integrated window. It has built-in meat probe displays the food temperature and digital temperature and time controls. With thermostatic-controlled temperature, and built-in internal cabinet light, it is hard to beat. The four-rack smoker provides 730 sq. in. of cooking space, while the six-rack smoker can hold a total of 1,095 sq. in. of cooking area and a 25-lb capacity. Honestly, what father wouldn’t want one of these? Our sweet dad is still wearing sunglasses he bought in 2002. Luckily, they’ve lasted that long – but it’s time for a MAJOR upgrade! Ray-Ban is giving YOU the power to customize your own mix of sunglasses! You get to choose your style frame, lenses, and more. Ray-Ban has been producing timeless classics in eyewear for over 60 years. From their Aviator Classics, to their ever-popular Wayfarer Sunglasses, Ray-Ban has been at the forefront of Eyewear style. Now with Ray-Ban Remix, you can fully customize the look of your Ray-Ban sunglasses. Choose your model, the frame color, lens colors and more. You can even get a pair engraved just for your Dad. This is definitely one of my favorite gift guide ideas! What a better way to bring Father & Son together to create bonding moments while shaving? (Or in our dad’s case – father and grandson!) We’re big fans of family-together time like this! Plus, you can even get the razor handles monogrammed. Like most of the men in your life, they?ve long had to choose between over-priced, over-marketed razors that disrespect their intelligence, and low quality, cheap razors that disrespect their face. Harry’s knew there had to be a better way, so they created Harry?s as a return to the essential: a great shave at a fair price. the perfect present for them! The Nike+ FuelBand SE Silver features polished stainless steel clasp, bezel and screws. It has handworked, mirror polished surfaces to highlight craftsmanship and detail. Whether your dad is active, or maybe needs a little encouragement to get moving more – the Nike+ platform makes it easy to start tracking your progress and work towards higher goals. Need some meats to go with your Tessamae’s? Treat dad this Father’s Day with custom-built combos guaranteed to thrill! Omaha Steaks has assembled their customer favorites perfect for gifting and grilling and when you select the Father’s Day Deal, Father’s Day Favorites, Father’s Day Griller Package, or The Dad Pack, they’ll ship your entire order FREE and include 6 FREE Omaha Steaks Burgers to each address in your order! There’s never been a better time to spoil dad, and at these prices, you might as well treat yourself too! Father’s Day will be here before you know it! As the country’s oldest clothing retailer, Brooks Brothers is proud to uphold the same traditions and values for nearly two centuries. That’s why they believe their customers consider them to be far more than a store. You can learn more about the Brooks Brother?s history and heritage HERE. 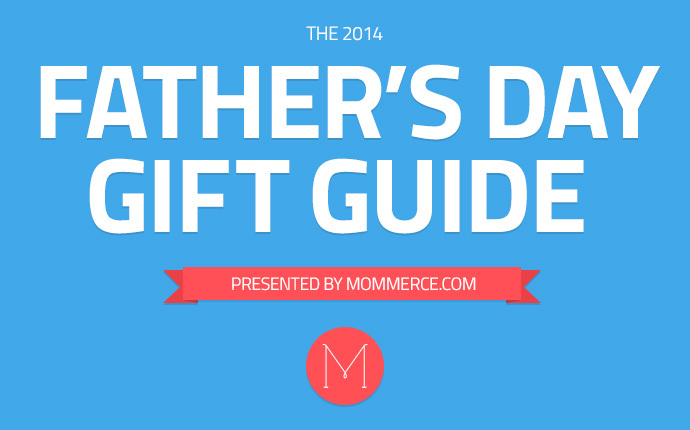 But, be Sure to take a look at their full Father’s Day Gift Guide! You’re gonna love what they have to offer. What if your dad is 80? If he's 80 then he's probably forgotten its Father's Day anyway so i wouldn't worry about it. Not even funny! You're SO lucky to still HAVE your dad around at 80! Take your dad out to eat. Fix his favorite meal! If he's mobile, go to a botanical garden for the afternoon; spend TIME with him! Agreed, Janet! This will be the first Father's Day without my precious dad. Miss him so much. But one of the last gifts we got him was a personal DVD player. It was a hit. These are cool. Wish you had more American-made gifts ideas featured for Father's Day.